Timeless design and durability define the rugged SUV. Long before the modern FJ Cruiser, Toyota went off-roading with the FJ40. Designed as Japan’s answer to the rugged Jeep, the Toyota FJ40 enjoyed a decades-long production run and managed to become a favorite among off-road enthusiasts. Petrolicious met with one of those owners, Josh Commons, to find out why the FJ40 is still such a cherished SUV. Commons puts that utility to the test by trekking up to a deserted mining town 8,000 feet up in the Boulder Mountains, his baby-blue 1976 FJ40 splashing through water and crawling over rocks all the way up. Despite the fact that his FJ40 is pushing 40 years old, Commons has no issue using it over rough and broken trails. “They’re built tougher than anything I’ve ever experienced. You can literally walk around on the hood without denting it,” he says. He first bought the car in 1992 and kept it for about a decade, before his sister and parents owned the SUV for a few years. Commons got it back when they lost interest, and now says he’ll never sell it again. Although he’s repaired many components over the years and added power steering, which was never a factory option, Commons hopes to keep his Toyota as close to stock as possible — no lift kits or V-8 swaps are in the future, for instance. Ultimately, it’s the classic looks and rough-and-tumble performance of the Toyota FJ40 that keeps the SUV so dear to off-roaders’ hearts today. 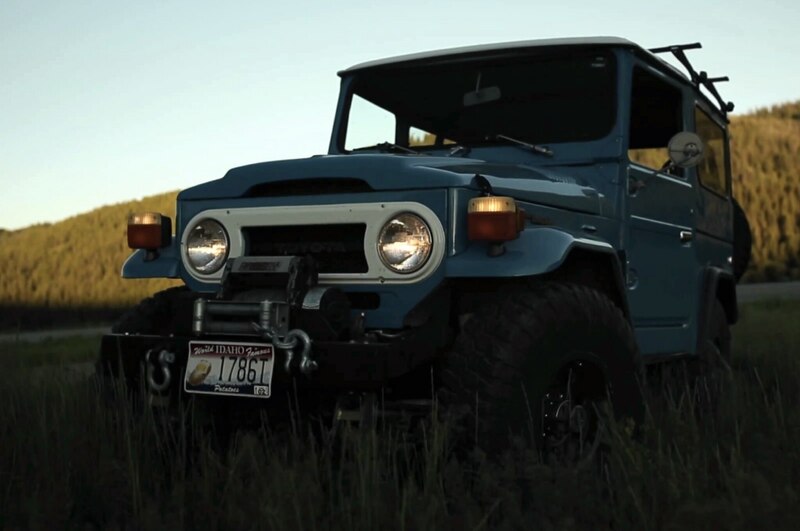 Take a look at the video below for a closer look at Commons’ 1976 FJ40.